Purpose: Develop the peak of the bicep as well as the forearm. Target Muscle Group(s): The primary muscle group being developed is the bicep muscle, specifically the biceps brachii and brachialis. 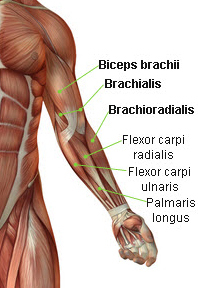 Secondary muscle groups being developed are the top of the forearm (brachioradialis). 1. Stand with a dumbbell on each hand with the palms facing together. 2. Your feet should be comfortable at shoulder width apart. 3. Raise the first dumbbell forward and up (towards your bicep) while keeping your elbows at your sides. 4. At the top of the motion, squeeze your bicep and forearm. 5. Lower the weight back to its original position while simulateneously beginning to raise the other dumbbell. 1. Breathe in as you raise the weight, breathe out as you lower the weight. 2. Squeeze the bicep and forearm for maximum contraction. 3. 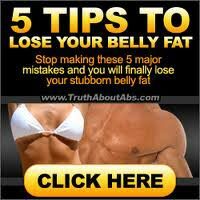 Do not swing the weight up or arch your back. This takes the tension off of your bicep and increases your risk of injury. 4. This exercise is really good for developing the top of the forearm. 1. To prevent injuries, use a weight the enables you to complete the desired number of repetitions without any swinging or back arching. 2. To perform negatives or forced reps with this exercise use a spotter.